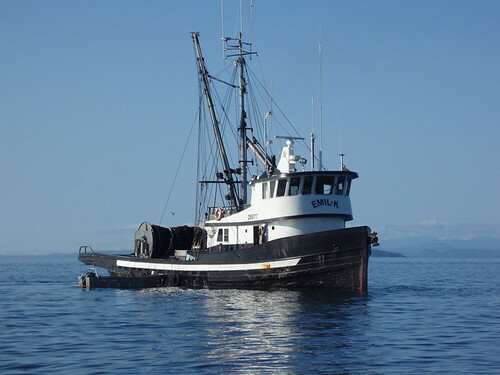 While fresh seafood and the West Coast have always gone hand-in-hand, few communities epitomize the local fishing industry as much as Campbell River. This weekend the community is getting set to celebrate what it’s best known for – salmon. For more than 40 years, Campbell River has been hosting the annual Campbell River Salmon Festival, a family-friendly event that’s become a summer staple. More than just a fête for fish, this three-day event features a whole schedule of activities, demonstrations and food festivities. 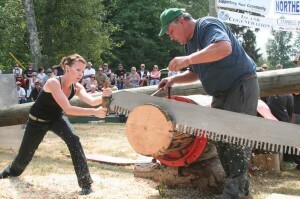 One of the most popular events of the weekend are the logger sports. While a handful of world champions will be on-hand to demonstrate their skills this weekend, a number of contests are also open to the public in categories ranging from novice to intermediate. Youth events have also proven to be popular, and this year’s competition will be filmed to be aired on TSN! If logger sports aren’t enough, there’s also a seafood cook-off, outdoor entertainment, a climbing wall, kids’ activities including face-painting and a bouncy castle and much, much more. If you’re planning to make the Campbell River Salmon Festival part of your weekend plans, visit their official website for more information. The festival starts today and runs until Sunday, August 12th at Nunns Creek Park [map] in Campbell River. Daily admission is $5 per person, children 2 and under are free of charge.